DUI Defense in Colorado Springs, CO - Christian A. Schwaner, P.C. Colorado’s intoxicated driving laws are among the nation’s strictest, both in terms of penalties and in terms of the maximum amount of alcohol that can legally be in your system while driving. If you have been charged with a DUI, DWAI, or DUID, it is best to team up with a DUI defense lawyer who knows the system very well and can save your reputation and freedom. Moreover, Colorado’s DUI legal system is so confusing that successful navigation of the legal maze will almost certainly require the assistance of an effective Colorado DUI defense attorney. Below, I provide a basic overview of Colorado DUI law, as well as common DUI defense strategies. DUI: To be arrested for DUI in Colorado, your BAC must generally equal or exceed 0.08 percent (a few beers in an hour will be enough, depending on your body weight). Even if your BAC is lower than this threshold, however, a prosecutor can still pursue a conviction, based on evidence (such as field sobriety tests or the presence of other intoxicants in your bloodstream) that your driving ability was “substantially impaired,” even despite your low BAC. A DUI defense lawyer can help you protect your reputation and freedom. DWAI (Driving While Ability Impaired): Colorado routinely arrests drivers for DWAI if their BAC was at least 0.05 percent but lower than 0.08. Although first-offense DWAI penalties are burdensome and distressing, they are lighter than DUI penalties. Underage (“Zero Tolerance”) DUI: If you are under 21, driving with a BAC of as low as 0.02 percent is against the law, although as long as it is below 0.08 percent, the penalties are not as severe as the penalties for a full-fledged DUI. Remember that if you are a heavy drinker, you may not feel intoxicated even if your BAC exceeds 0.17 – you may have no trouble walking or speaking clearly, for example. It won’t matter once you are arrested – you will be treated the same as a novice drinker who passes out in the back of the squad car. Driving Under the Influence of Drugs (DUID): Since the legalization of recreational marijuana use in Colorado, the issue of drugged driving, known in Colorado as DUID, has attracted considerable attention. Nevertheless, Colorado’s DUID law prohibits driving while under the influence of any intoxicating drug, whether legal or illegal (including prescription drugs). While driving under the influence of alcohol is subject to well-defined legal minimum BAC limits, there are no such clear-cut limitations when it comes to drugs – the prosecutor merely needs to prove that your driving abilities were “substantially impaired” as a result of your intoxication. Prosecutors can also win convictions for driving under the influence of a combination of alcohol and drugs. An experienced Colorado DUI lawyer can help you escape the penalties. It is important to choose an attorney who knows the system well and who can fight for your freedom. Fines and fees of $700 to $1,500. Driver’s license suspension of nine months. You may have as little as seven days from the date of your arrest to file a request for a hearing to prevent a driver’s license suspension. Even if your driver’s license was issued by another state, Colorado can still suspend your license in cooperation with your home state. Community service of 48 to 96 hours. Possible mandatory alcohol education and treatment. Possible probation for up to two years. Imposition of SR-22 special insurance requirements. Possible installation of an ignition interlock device (IID) on your vehicle once you regain your license (mandatory if your BAC was 0.17 or greater). Fines and fees of $300 to $1,000. Community service of 24 to 48 hours. Penalties for subsequent DWAI convictions escalate rapidly – in fact, penalties for second and third offenses DWAIs are almost identical to second and third offense DUI penalties. “Zero Tolerance” (Underage) DUI: If you are under 21 and your BAC was between 0.02 and 0.05, you will be fined between $15 and $100 for a first offense. You may also be sentenced to up to 24 hours of community service and ordered to complete an alcohol education program. Penalties for subsequent offenses include up to 90 days in jail and a fine of up to $300. If your BAC was 0.05 or higher, you will be charged with DUI or DWAI. DUID (Driving Under the Influence of Drugs): DUID penalties are similar to DUI penalties. In some cases, alternative sentencing may be available. Learn more about alternative sentencing. Repeat DUI penalties are significantly more serious than first offense penalties. Unfortunately, Colorado has no “lookback period” for previous DUI offenses – if you were convicted of DUI in 1987, for example, an offense committed in 2016 will be counted as a second offense. Colorado will hold a previous conviction against you, even if it was from out of state. Fines and fees of $700 to $2,000. 10 days to one year in jail. Driver’s license suspension of 12 months. Community service of 48 to 120 hours. Probation of two years or more. Mandatory alcohol education and treatment. Mandatory IID installation on your vehicle for two years after your driver’s license is reinstated. 60 days to one year in jail. Driver’s license suspension of 24 months. Mandatory IID installation for two years after driver’s license reinstatement. Fourth and subsequent DUIs are felonies punishable by up to six years in prison and a fine of up to $500,000, among other possible penalties. Do not hesitate to contact an experienced DUI defense lawyer in Colorado who can at the very least help minimize the penalties. 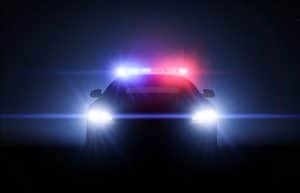 Since most DUI offenders are convicted based on the results of a blood, breath, or urine test (a “chemical test”), and since in most instances a police officer is not entitled to physically force you to submit to such a test, you might imagine that you can avoid DUI penalties by simply refusing to take the test. But, it doesn’t work that way. Your driver’s license can be suspended for one to three years simply for refusing to take a chemical test, and you can also be required to obtain SR-22 auto insurance, which imposes more onerous burdens than ordinary auto insurance. Moreover, you can be convicted for DUI even without the results of a chemical test – the prosecutor might rely on the officer’s testimony or video footage of your arrest, for example. Illegal stop: A Colorado police officer does not have the right to pull you over without probable cause to believe that you violated the law. If he or she does, all of the evidence seized (including evidence of intoxication, such as a Breathalyzer test) can be excluded from court – leaving the prosecutor with no case against you. Invalid sobriety test results: The Breathalyzer may have malfunctioned or the officer may have improperly administered the test. Administering a Breathalyzer test too soon after you have taken your last drink, for example, can greatly exaggerate your apparent degree of intoxication. Illegal DUI checkpoint: DUI checkpoints are subject to strict rules that are designed to avoid discrimination and arbitrary violations of privacy. Violation of these rules could invalidate the charges against you. Racism: You might allege that you were stopped because of your race, not because you were drunk. This would invalidate the stop and exclude any evidence against you that was gathered during the stop. Many more potential defenses might be available, depending on the circumstances surrounding your case. Contact me for advice on your particular case and the type of DUI defense strategy that can work for you. Don’t let a temporary lapse in judgment put your future and your freedom in jeopardy. You don’t have to lie down while the Colorado criminal justice system walks all over you – you can fight back. My name is Christian Schwaner, and I am an experienced Colorado Springs DUI defense attorney who is a former prosecutor. Due to my experience, I understand how the Colorado criminal justice minefield works, and I have helped hundreds of people just like you through this trying time. The first seven days after a DUI arrest are the most critical to your defense. If you have been arrested for DUI or a related offense in the Colorado Springs area, contact me at 719-577-9700 or through my online contact page, so that we can discuss your options. I provide a free initial consultation, and I can even visit you in jail. Please take some time to review the videos below, and the information contained in my blog, for a thorough explanation of exactly what you are up against. Am I going to go to Jail for my DUI? Call Christian, your DUI attorney in Colorado Springs, CO today!